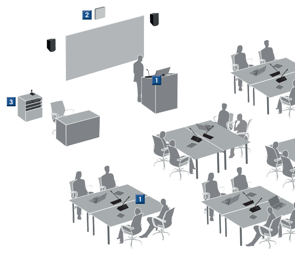 Microflex Complete Wireless makes any room the meeting room. 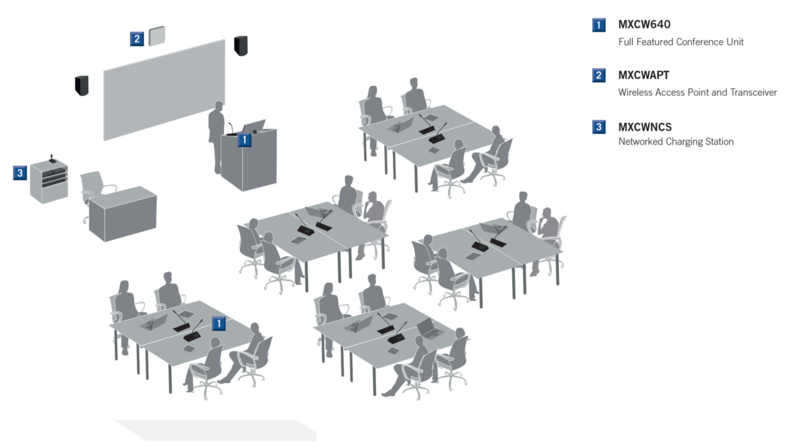 It's wireless that just works, allowing you and your team members to focus on what's important. 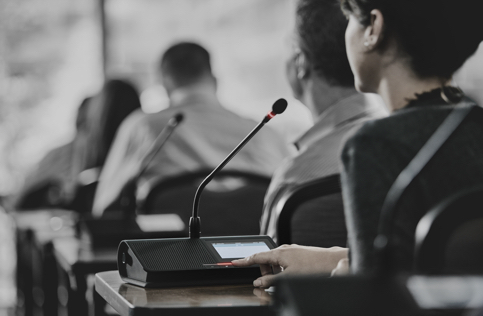 From flexible meeting spaces to high profile historic venues, Microflex Complete Wireless goes anywhere your meetings take you. 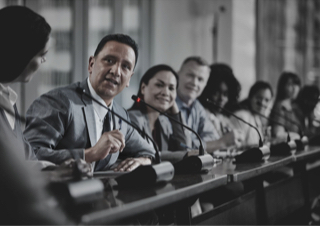 Get the most from your meetings with the confidence of unmatched wireless performance. Automatically scans the available spectrum and selects clean transmission channels for best performance. 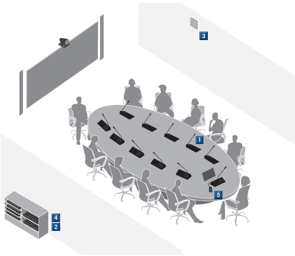 Moves away from unexpected interference, wireless channel adjustment occurs with no disruption to the meeting's agenda. 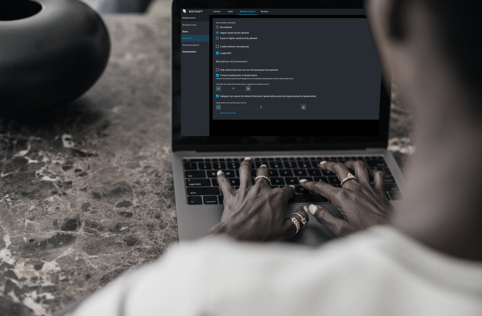 Standard AES-128 wireless encryption keeps meeting content private for peace of mind. 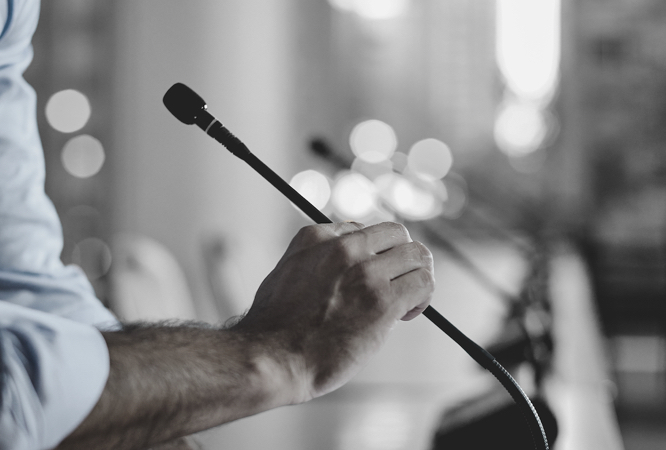 The system is comprised of only three core components — helping you go from cart to conference in minutes. 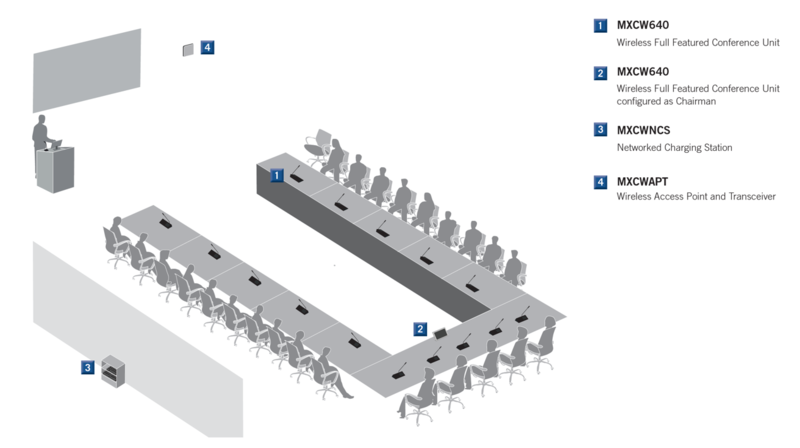 The unique all-in-one design of each delegate unit can be equipped with a variety of gooseneck lengths - all with industry-standard Microflex® capsules to capture every word. And your attendees will hear every word too, with a high-quality loudspeaker for great audio at every seat. Require more advanced features? 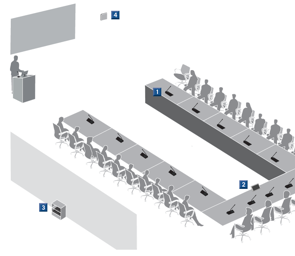 Microflex Complete Wireless supports participant voting and interpretation, all controlled through an integrated browser-based interface. 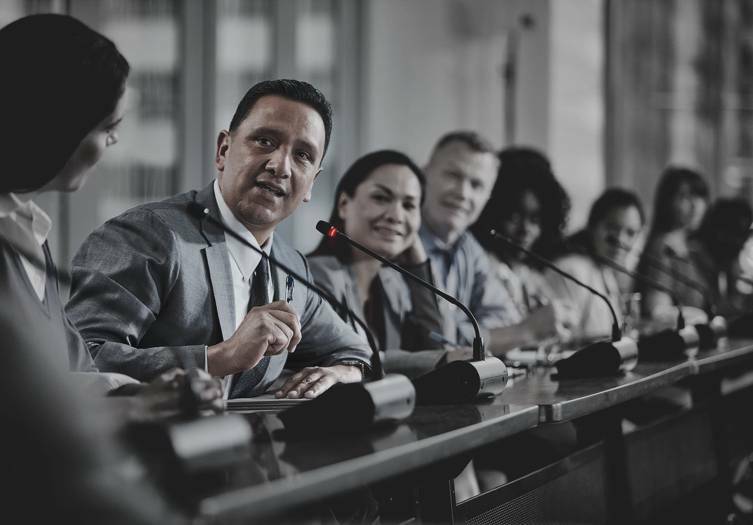 Need to fit in more meeting participants? 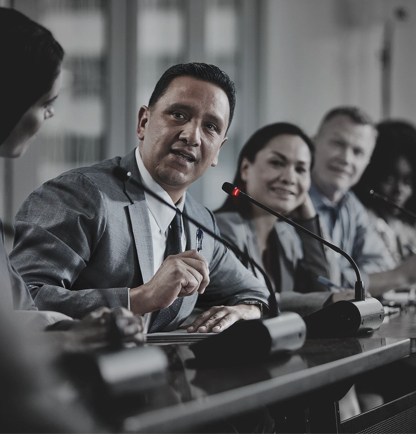 Require more advanced meeting management features? 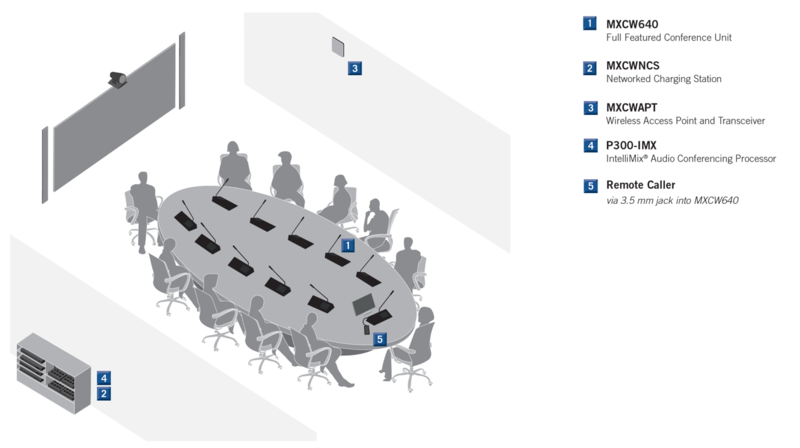 Microflex Complete is available as a wired solution, with both table-top and flush-mount components for permanent, fully integrated installations. 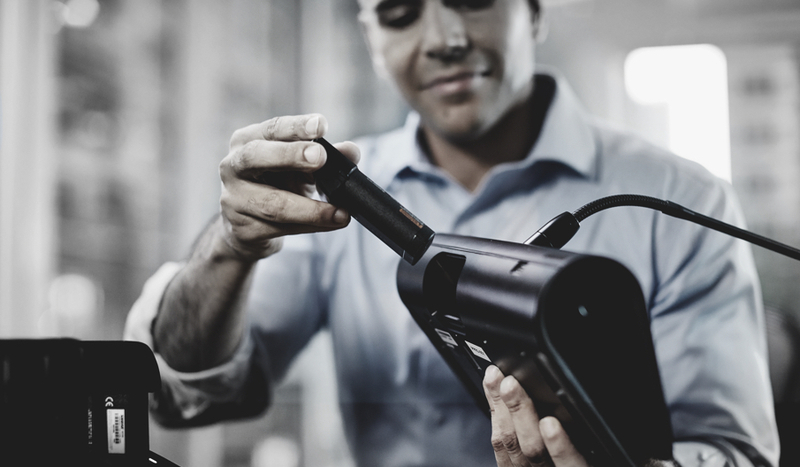 Request detailed system information or schedule an on-site demonstration of Microflex Complete Wireless at your facility.